As my family has grown, I have grown more and more in love with Costco! What’s not to love?… Quality products, excellent pricing, free samples for hungry littles, and the ability to buy in bulk! One of my favorite bulk purchases is the Coscto exclusive Huggies Little Snugglers Plus and Huggies Little Movers Plus diapers. 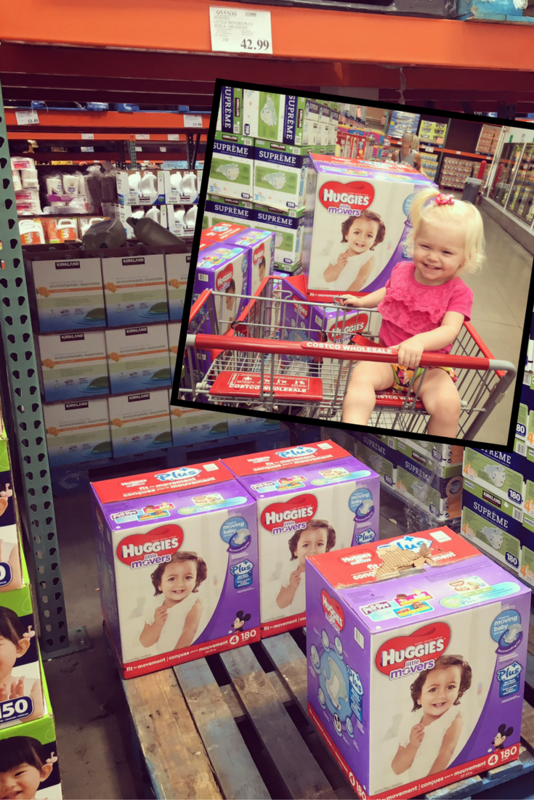 True to the Costco way, they are high quality diapers and you can’t find a better price anywhere! When Payton was a little newbie in size 1 and 2, the Huggies Little Snugglers Plus were perfect for her little sleeping body, but I love how now that she is an active baby in size 4, the Huggies Little Movers Plus are made with Double Grip strips to stay on her little moving body. That is a Mom-WIN in my book! I’ve also been impressed with the absorbency of these diapers, and thankfully, I’ve never had a problem with leakage due to the 12 hours protection Leak Lock®. With Payton being our second, it was a no brainer for us the second time around to stick with our trusty Huggies diapers. 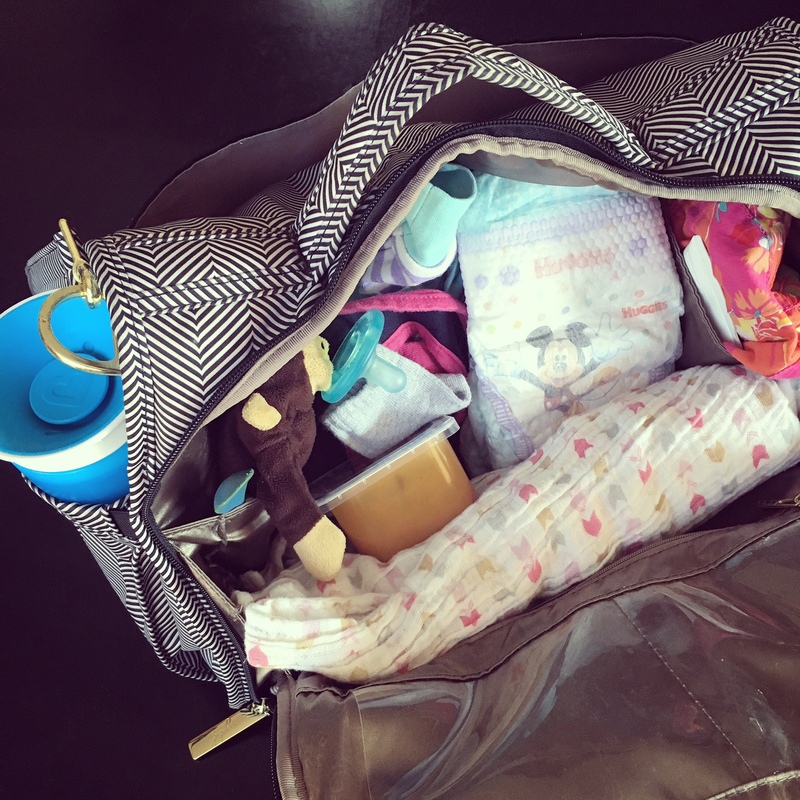 As a mommy-lifestyle blogger, I’m often asked by expecting/new moms “How do you balance all the responsibilities of being a new mom with having fun and not losing yourself along the way?” My answer usually surprises them; “Learn to pack your diaper bag!” Let me explain. I am a firm believer in allowing your new baby the opportunity to fit into YOUR routine, which is often counter intuitive to new moms. Rather than adjusting your life to accommodate a new baby, why not embrace the change, plan ahead and still do your normal routine as best you can!? 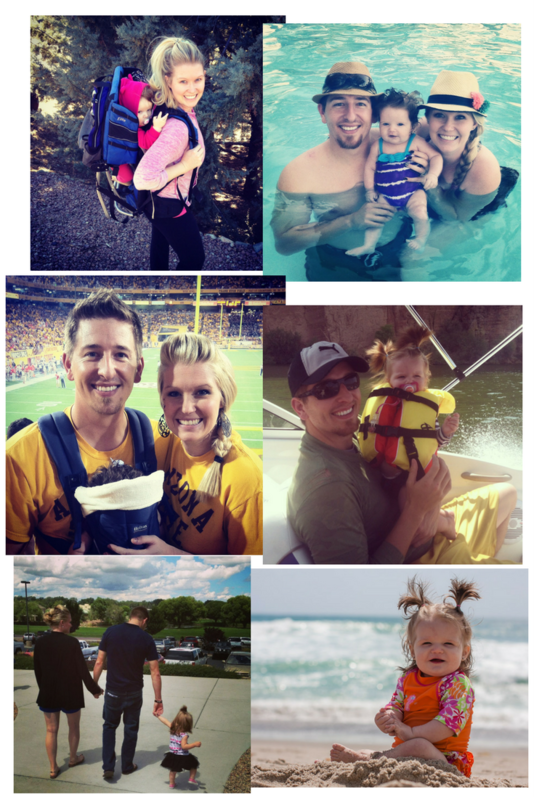 For my husband and I, this meant we would take our daughter to movies, dinner dates, church, college football games, vacations, etc… but this is only possible with a properly organized, all inclusive, well-planned out diaper bag that allows you to handle any situation on-the-go that might arise with your little one! 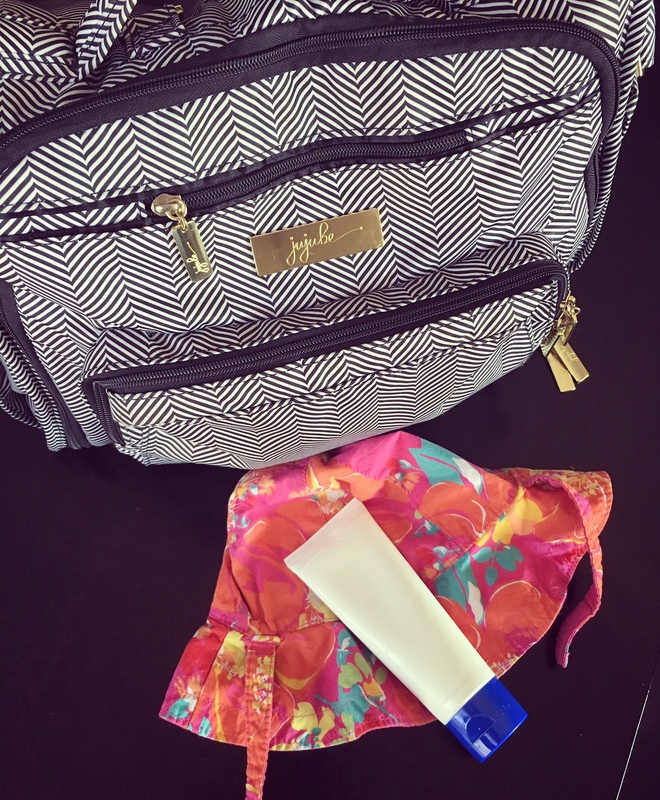 It is crucial to pack a GREAT diaper bag so that you are ready for anything! 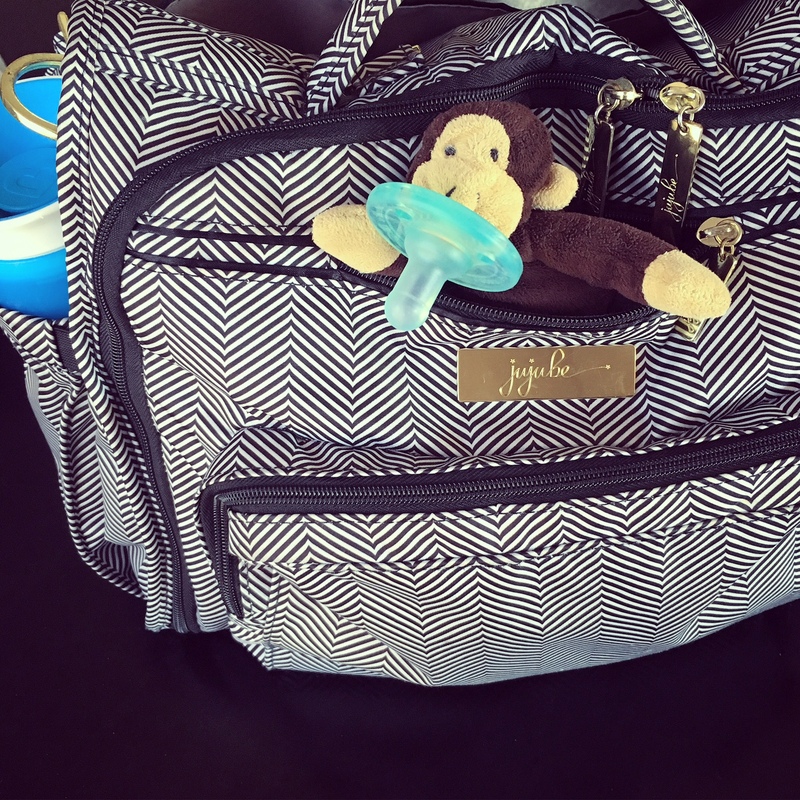 Here are a few of my recommendations when packing your diaper bag for an outing. 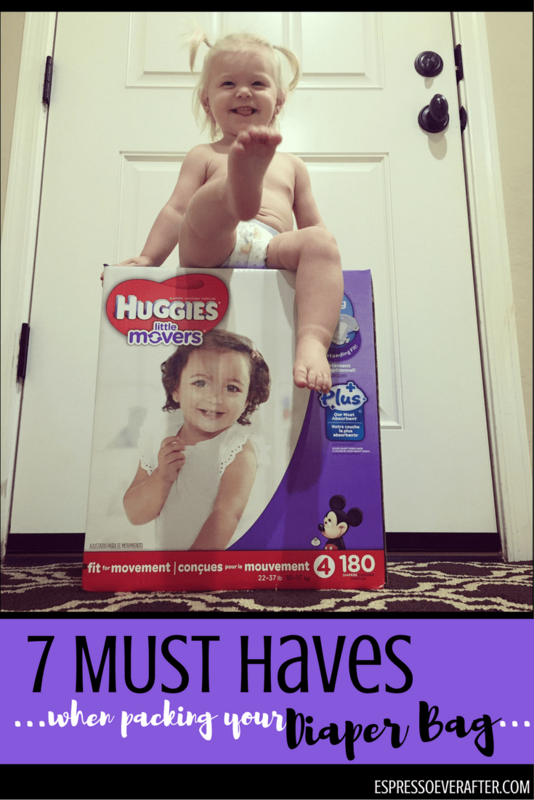 1.DIAPERS: The most important item to always have on hand is diapers!!! 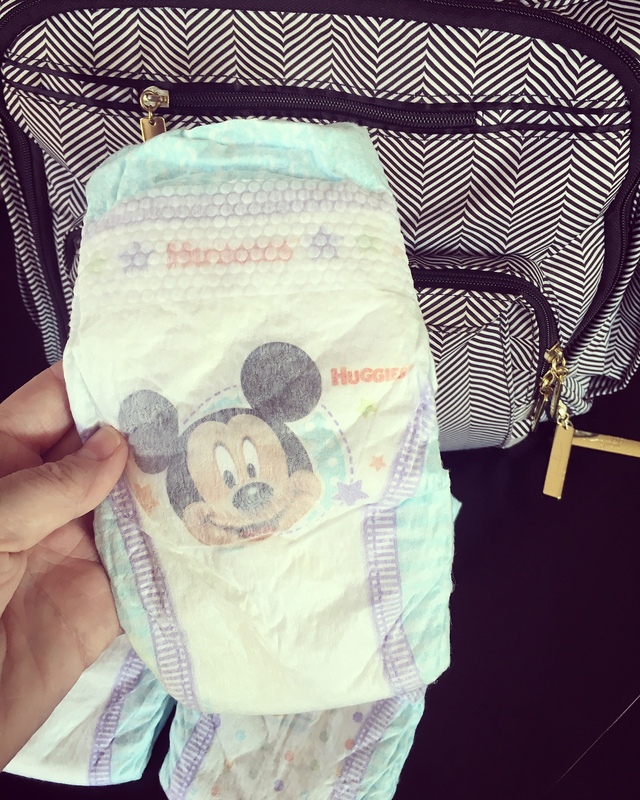 When packing your diaper bag, I always recommend having 3-5 diapers on hand. This might seem like overkill but trust me, this is one item that it is okay to overpack! 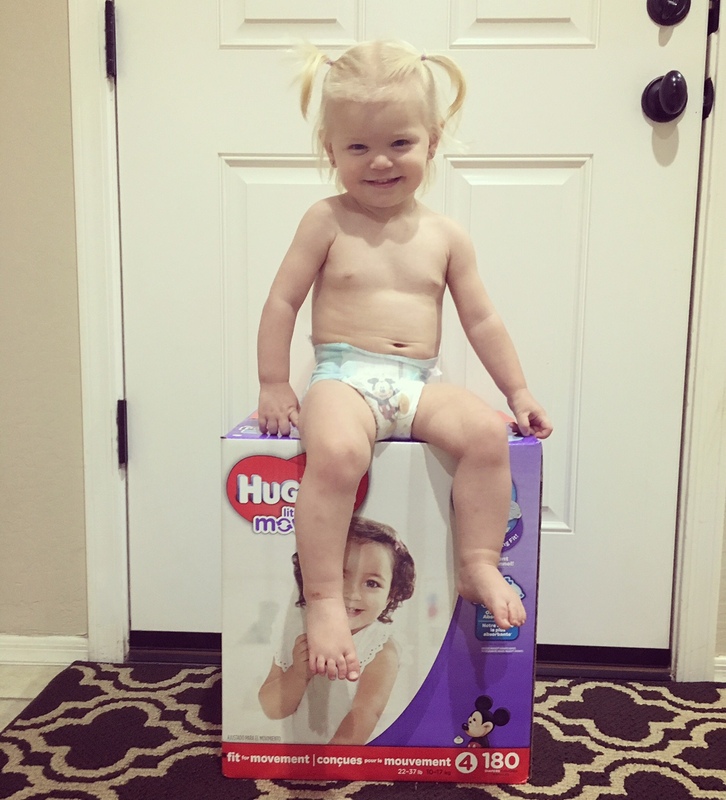 We absolutely love Huggies diapers. We started our daughter off with the Huggies Little Snugglers Plus and then eventually graduated to the Huggies Little Movers Plus. 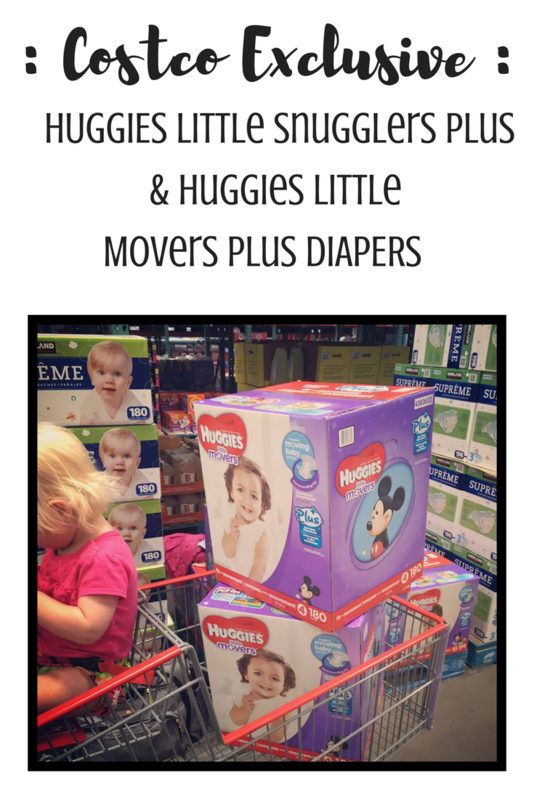 We purchase our Little Movers Plus Huggies diapers at Costco because diapers are one item that we love to have in bulk and available at all times. The price per quantity is such a great deal and you truly can not beat their quality. 2.WIPES/CREAMS: You don’t want to be caught out and about without these items! Wipes are great because they have so many jobs; they are perfect for cleaning up bottoms, dirty hands and messy faces! Also, pack your favorite diaper rash cream to help sooth a sore bum, because let’s face it… A happy baby means a happy mama! 3.CHANGE OF CLOTHES: This one is crucial! You never know when an accident is going to happen, so be prepared and plan ahead. I always carry an extra outfit, pair of socks, and keep a jacket on hand. This also comes in handy if you end up at a chilly location; layers! 4.FOOD: Whether you are bottle feeding, nursing, spoon feeding or just have a little snacker… don’t forget the needed items; bottles, nursing cover, burp cloth spoon, babyfood, bibs, snacks, etc. No one likes dealing with a HANGRY little one when you are trying to have fun. 5.SOOTHING ITEMS: IF your little one has a favorite blanket, teether, pacifier or stuffed animal, bring it along… especially if you have a lot of travel time in your outing. My daughter had a blanket and a pacifier that was attached at her hip, we never went anywhere without it. They allowed her the comfort she needed to relax and enjoy, even on our car rides or in busy venues. 6.ACTIVITIES: Always have something on hand that you know your child will love. Whether it is their soothing item from above, a book, or a toy to play with, never be empty handed when it comes to distraction pieces. Keep your little one’s mind stimulated, and get busy having your fun! 7.SUN PROTECTION: My family has fair skin so this is a MUST for us, especially since we live in sunny Arizona. I always carry sunblock and a sun hat to protect their skin and protect them from the brightness! I would rather be safe than sorry in this area. *CARRIERS/STROLLERS: This item is a bonus because it obviously doesn’t fit well in a diaper bag, but I always recommend having a body carrier and a stroller in the trunk of your car… at some point you will thank me for this! You just never know! Now what are you waiting for… pack your on-the-go diaper bag and go enjoy an adventure with your little one in tow. Have fun, make memories and never look back! Such a great deal! Your bag is very organized. I always forget an extra outfit. There’s been times I really could’ve used one too! I could not agree more with having your new baby fit into your routine and life. It seriously makes things so much better! 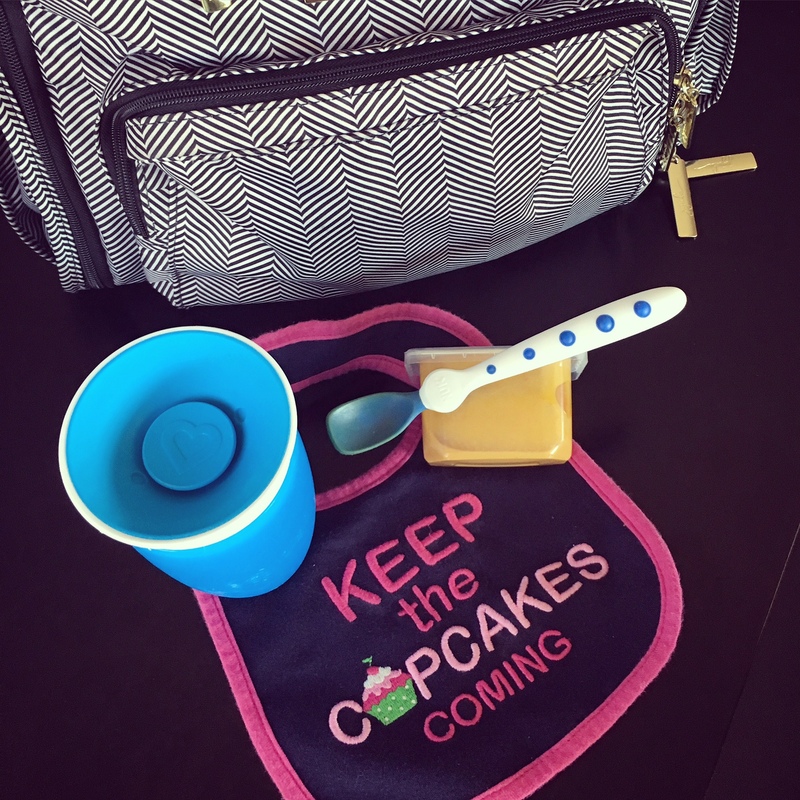 And yes, I tend to over pack my diaper bag so I am always prepared when out and about! I feel like I never have an extra outfit when I need it! 🙂 Good suggestions! 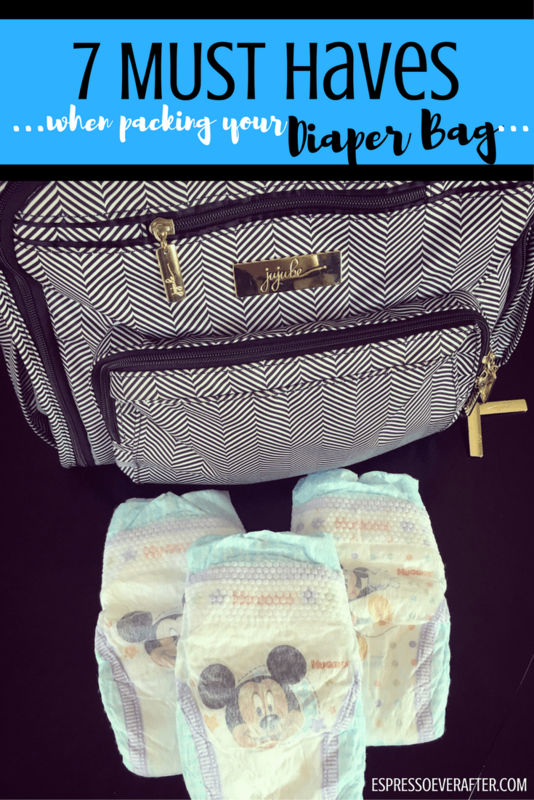 you pack a mean diaper bag! haha but I agree, being prepared is crucial! Great job!